In each of these incidents, the script follows similar lines: the attackers were known to intelligence agencies and were either active or prospective fighters in Western-backed destabilization and regime-change operations in the Middle East and throughout Eurasia. After each attack, the failure to act on information already in the possession of the intelligence agencies is explained away by the supposed “failure to connect the dots.” Finally, despite monumental breakdowns in basic security protocols, no officials are fired or otherwise disciplined. But what is unprecedented about Tuesday’s events in Brussels is the rapidity with which the extent of state foreknowledge of the attacks has been revealed. On Wednesday, Israeli daily Ha’aretz revealed that Belgian intelligence had precise information on when the attacks would occur and what their targets would be. The next day, Turkish President Recep Erdogan said that one of the attackers involved in the airport bombing, Ibrahim el-Bakraoui, had been twice deported from Turkey to the Netherlands after trying to enter Syria, and that Belgian authorities had been told of his affiliation with Islamist militias. Ibrahim’s brother, Khalid, who participated in the attack on the Maelbeek metro station, was known to have been involved in November’s Paris attacks and had an international arrest warrant issued against him. These revelations have triggered a crisis in the Belgian government, with Interior Minister Jan Jambon and Justice Minister Koen Geens offering their resignations, which were rejected by Prime Minister Charles Michel. What can explain why these attacks are not prevented? The basic reality is that all of these attackers are drawn from a broad pool of active fighters in the wars in Iraq, Syria and other countries, and who have been financed with the support of NATO and intelligence agencies in both Europe and the United States. Whatever the precise number, it is clear that the individuals who carried out the March 22 bombings and the November 13 and Charlie Hebdo attacks in Paris are part of a broader group of people who have been allowed to freely travel to and from the Middle East. The only conclusion that can be drawn from the ease with which these forces permeate national borders and conduct operations is that there are protocols in place to ease their passage and lower any red flags. They operate under a veil of official protection. 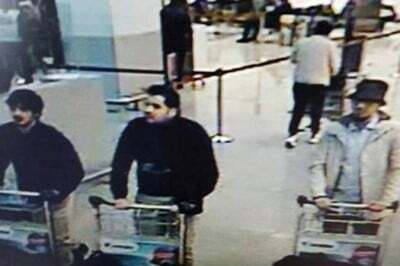 Attacks such as those in Brussels are not intelligence “lapses,” but rather the inevitable product of the deep integration and institutional connections between terrorist networks and the intelligence agencies of Europe and the United States. The attacks such as those in Brussels take place either as “blowback” operations by Al Qaeda or Islamic State forces, embittered by the failure of the US and European governments to carry out their promised overthrow of the Assad regime, or they are facilitated by sections of the state for whom terrorist acts in Western countries serve the purpose of shifting foreign and domestic policy—or some combination of the two. It is notable that the attacks in Brussels come less than a week after theAtlantic published an extensive interview with US President Barack Obama in which he defended his decision not to commit the resources in toppling the Assad government that many had demanded. Leading figures in the US media, including the New York Times columnists Thomas Friedman and Roger Cohen, have already seized on the events in Brussels to call for a more aggressive US intervention in Syria. Whatever the specific circumstances and motivations, the Brussels attack—like the Paris attacks last year and others before them—flows from the military operations of the imperialist powers in Libya and Syria and their drive to destabilize and dominate the Middle East. These wars, steeped in recklessness and criminality, which have led to countless thousands of deaths and the displacement of millions, are now having deadly consequences for the population of Europe. Horrific acts such as those that have taken place in Belgium can be stopped only if the wars are stopped.